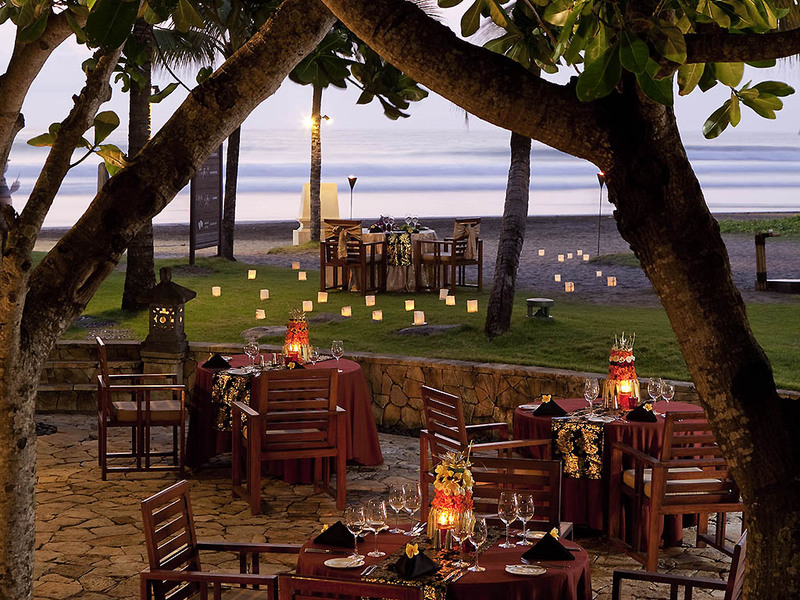 This beachfront hotel is spread across 10 acres of lush green verdant tropical gardens. 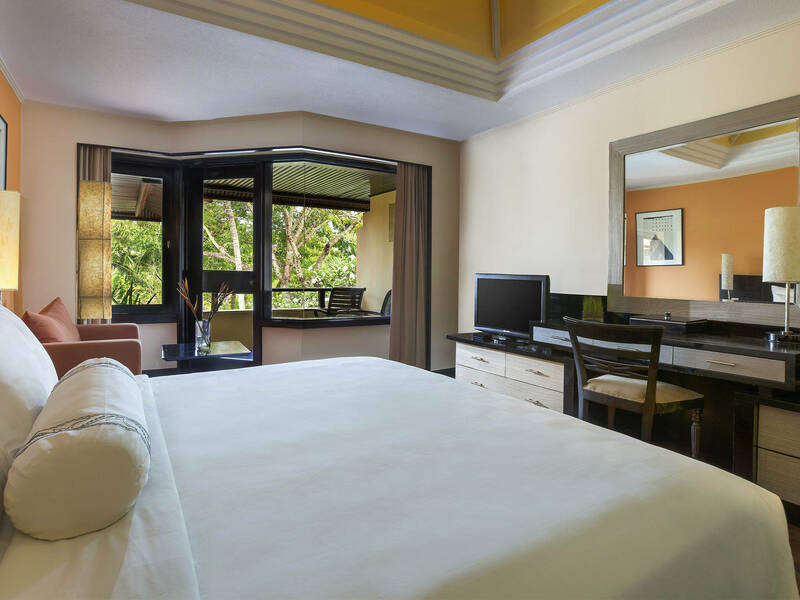 The relaxing pool beds, beautifully manicured grounds and poolside open-air restaurant are some of the highpoints which make this hotel stand out. The air-conditioned rooms are quite spacious, and the BBQ fish on the beach is truly a delight. 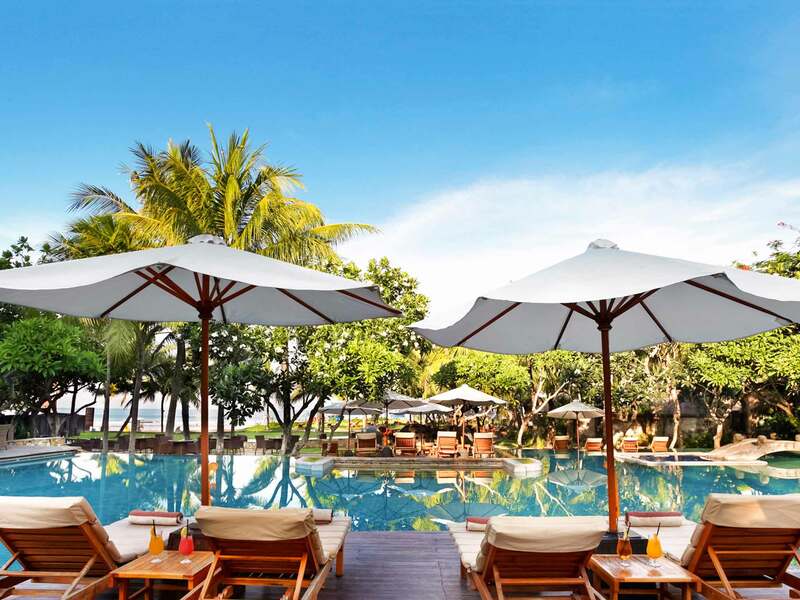 Royal Beach Seminyak is one of the notable 5-star properties located on the popular Seminyak Beach nurtured by the sandy beaches, lush greenery of the hills and majestic views of the valleys around. With one beachfront and two stunning pools, the resort is considered as an ideal option for romantic getaways. However, there is a lot for the leisure and business travelers to enjoy too. 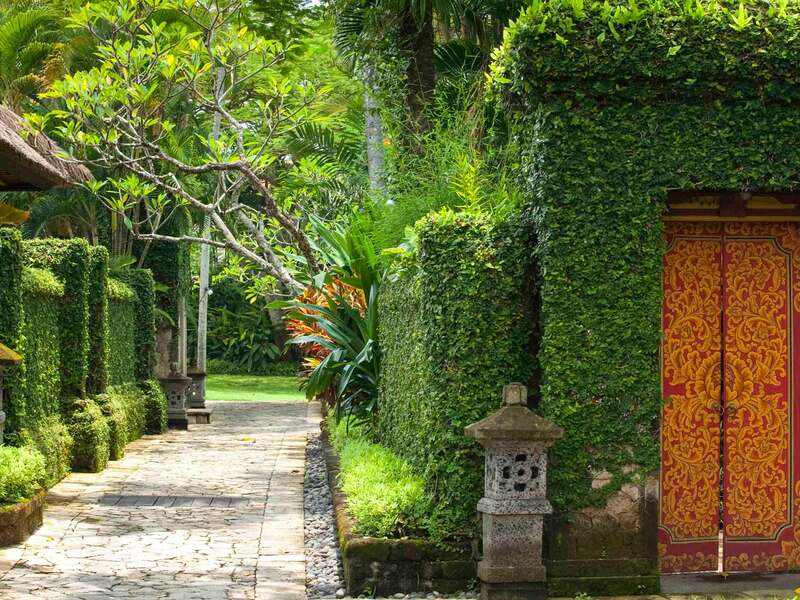 The well-developed infrastructure influenced by Balinese architecture has never failed to add charm to the immense popularity that the resort boasts of. Also, its personalised services and thoughtful amenities work together to prioritise comfort and convenience for the guests. It is located near the airport and is also within a comfortable reach from other major attractions of the city. Equipped with ultra-modern facilities, the accommodation units of Royal Beach Hotel Seminyak proudly boast of a unique mix of convenience and luxury. 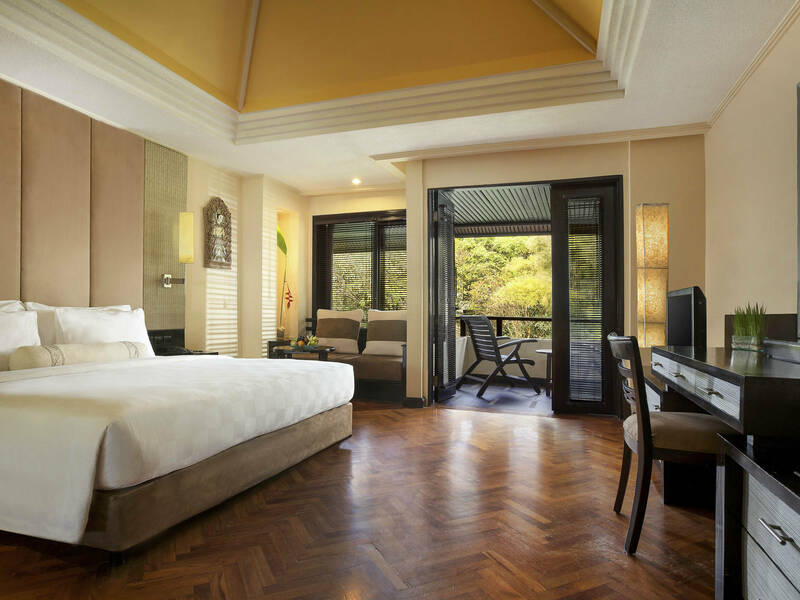 The hotel maintains a total of 146 rooms divided into broad categories like 125 luxurious rooms that feature a private balcony with stunning tropical garden views, 17 thatched-roof villas boasting of a private pool and surrounded by lush green foliage and 3 connecting rooms. The accommodation units of the hotel are further subdivided into several subcategories. Each of the accommodation options of the hotel has a satellite TV. 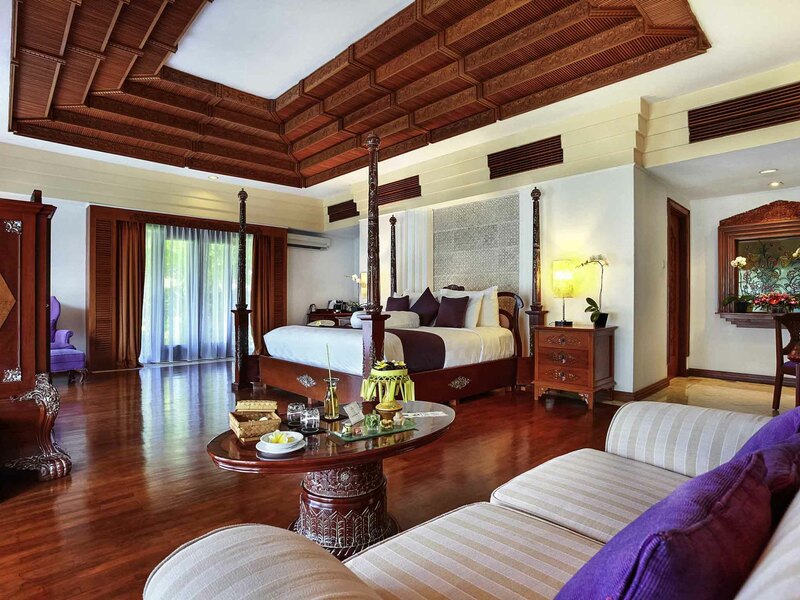 Every villa is equipped with free Wi-Fi, in-room safety box, minibar and tea/coffee making facilities. It also provides en-suite bathrooms with essential toiletries. Laundry service is available too at an additional charge. 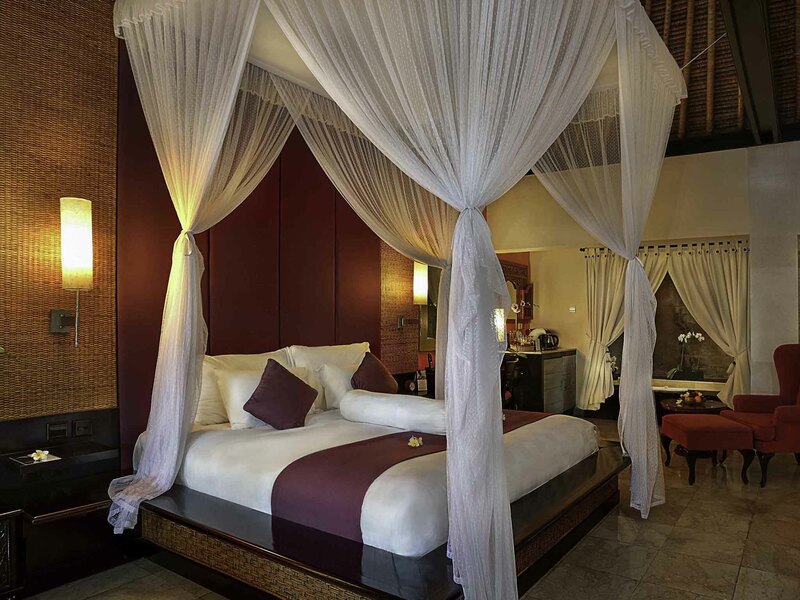 Apart from boasting of its unique architecture and designs, the hotel Royal Beach Seminyak is also known for offering the finest of the services to the guests. It is here that the guests can take a deep dive into the pool to help them feel relaxed. Also, they can indulge in several therapeutic treatments featured by the luxurious spa of the hotel to soothe their senses.In addition, working out at a well-equipped fitness centre to let go off all tiredness can be of great help too. Furthermore, there are a variety of services that guests can avail during their stay in the hotel. Some of them include a private check-in and check-out, concierge, baggage storage, 24-hour front desk and a tour desk. Currency exchange facility is available too in case of any need. In addition, complimentary Wi-Fi and parking access along with shuttle service at a surcharge are offered to make sure that all requirements of the guests are being fulfilled. For some recreational purpose, guests can go on a local cultural tour of the place. 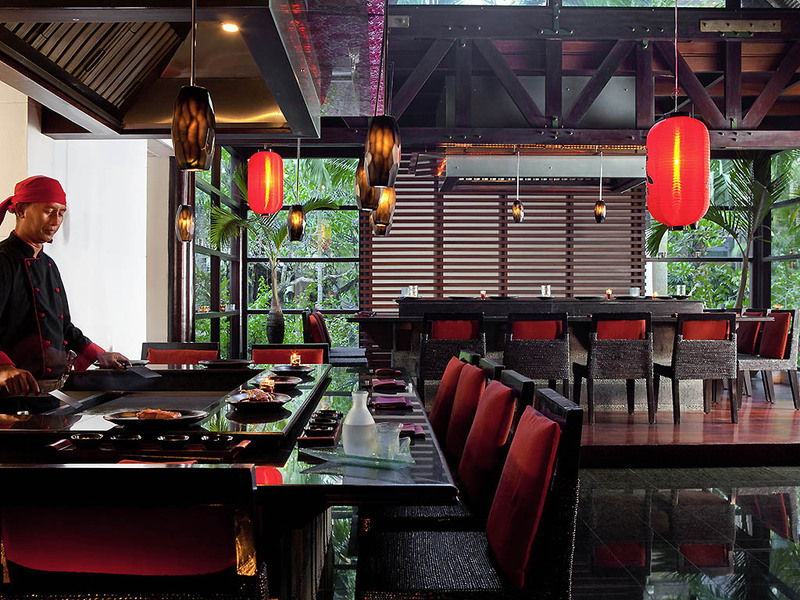 As far as dining options are concerned, the hotel Royal Beach Seminyak features three restaurants and two bars, namely Capris Beachfront Restaurant, Husk Restaurant, Teppanyaki Restaurant, Capris Beachfront Bar and Husk Bar. The restaurants of the hotel provide an opportunity to indulge in a gastronomic tour of delicacies ranging from Mediterranean, Indonesian, Asian, Japanese and International cuisines. Moreover, an exotic range of cocktails and mocktails elevates the experience to a different level altogether. So whenever it comes to looking for a stay that can provide luxury and comfort of supreme value, there is no better option than the hotel Royal Beach Seminyak. 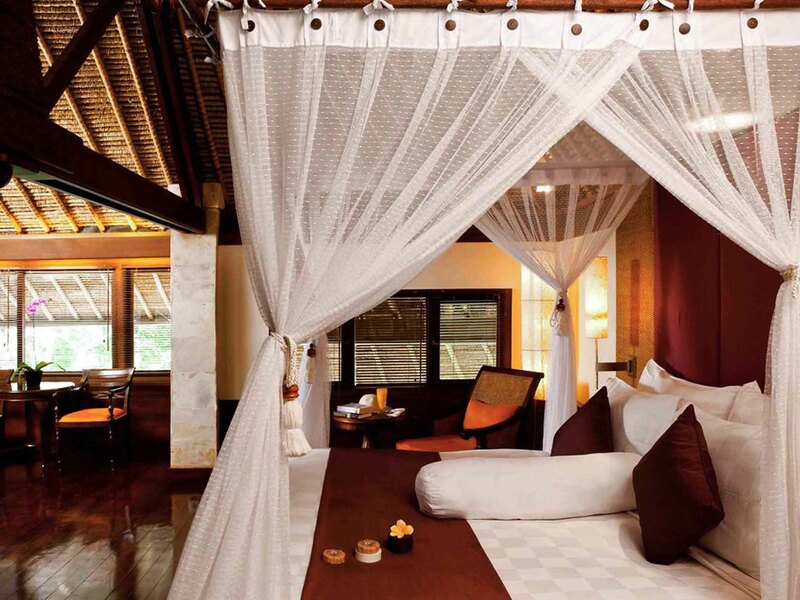 One cannot afford to miss the chance of basking in luxury until the last moment here. 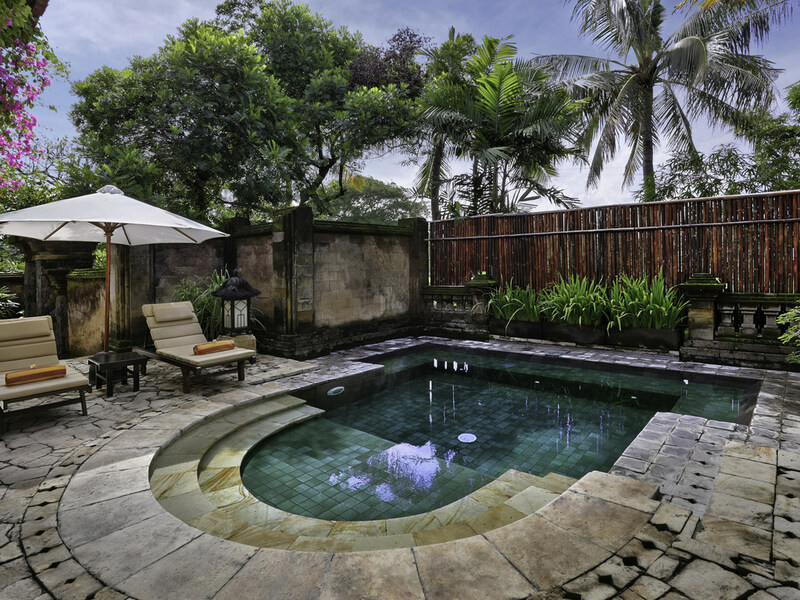 Royal Beach Hotel Seminyak is located around 40 minutes drive from Ngurah Rai International Airport. Yes, Royal Beach Hotel Seminyak provides airport pickup and drop-off service. However, the service is available on a chargeable basis. How can guests spend their leisure time in and around the hotel? 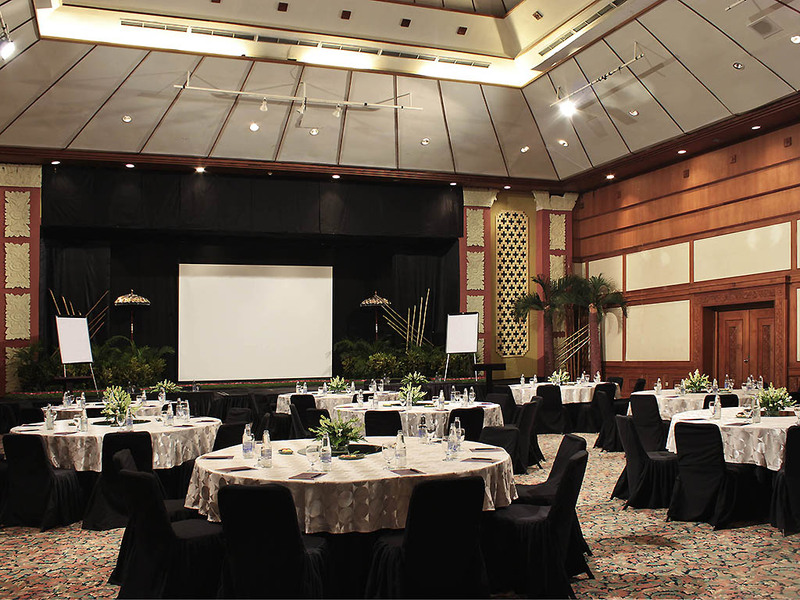 The hotel Royal Beach Hotel Seminyak offers several activities for the enjoyment of the guests. They can rent a bicycle to get a quick glimpse of Balinese culture and lifestyle and can indulge in games like golf and ping-pong. They can also visit some of the nearby beaches to witness the surreal beauty of nature. Does the hotel provide a check-in and check-out facility on a private basis? Yes, the hotel provides private check-in and check-out facility on a private basis for the guests convenience. Yes, the hotel Royal Beach Hotel Seminyak offers laundry service for the guests convenience. Set within such a tropical paradise, the hotel is an upscale accommodation option that provides its guests with a chance to enjoy a luxurious stay inspired by the sublime beauty of nature. 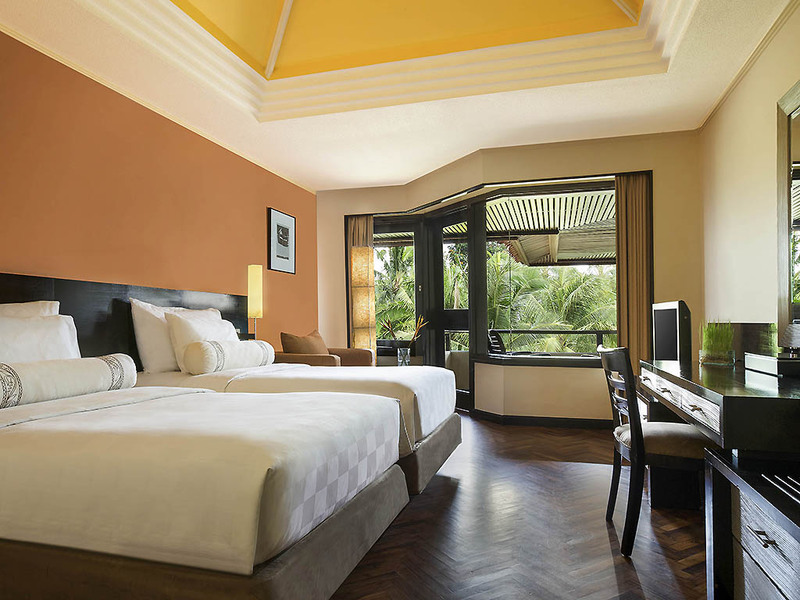 Royal Beach Hotel Seminyak has never ceased to charm its guests with its impeccable hospitality and world-class services. 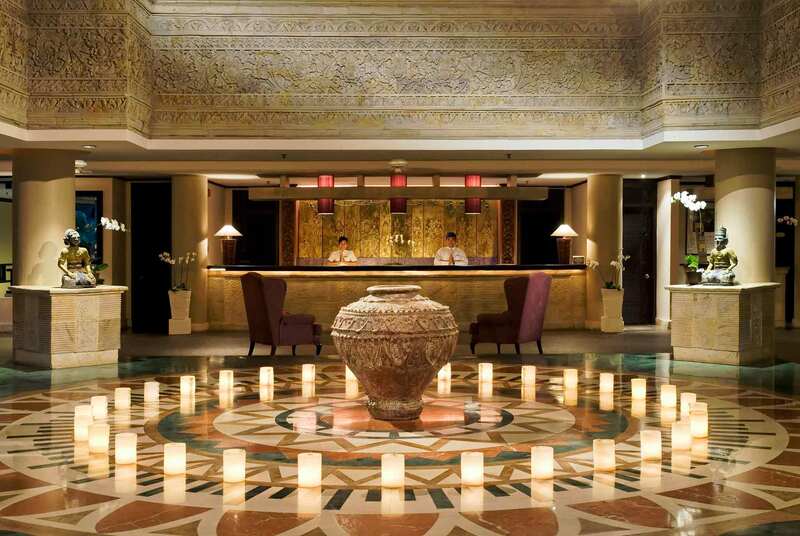 It is here that guests can be a part of a lavish hotel experience and the finest of services. Starting from a stress-free environment offered by the gym, pool and spa of the hotel to the well-recognised restaurants that specialise in tantalising the taste buds of the travelers across the globe, the hotel features everything of supreme value. 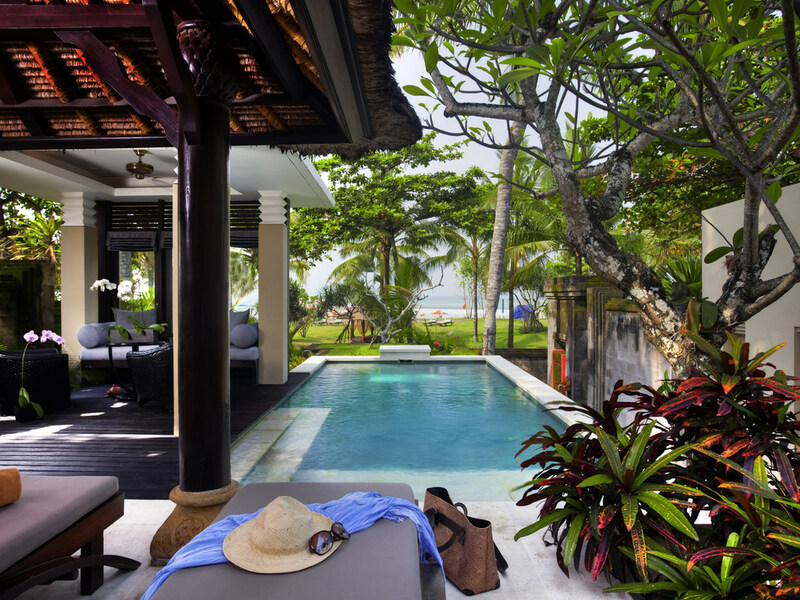 Even by letting one experience the timeless Balinese feel, it seems to present no compromise with the contemporary needs of the visitors.